The goal of Capuchin Franciscan life, like all Christian life, is to grow in holiness, in love of God and neighbor. While this way of life is not for everyone, it has proven to be an effective way of Christian living, judging at least by the number of Capuchins who are canonized, from St. Felix of Cantalice to St. (Padre) Pio of Pietrelcina. If you would like to read more about the various Capuchin saints, please click on any of the names to the right. The Capuchins continue to rejoice the latest saint to be canonized: St. Felix of Nicosia. He was among the first five saints canonized by Pope Benedict XVI on 23 Oct. 2005. St. Felix of Nicosia is just one of 58 Capuchin friars and nuns, from the 16th to the 20th century, who have been honored by the Church as Saints and Blesseds. This prompted the late Pope John Paul II to say, "They say you Capuchins are poor, but you are actually very, very rich. You have Saints." It is no surprise that he noticed this, since he personally canonized 5 of our 15 saints and beatified 33 of the 43 blesseds. St. Padre Pio of Pietrelcina, OFM Cap. St. Lawrence of Brindisi, OFM Cap. Venerable Solanus Casey, OFM Cap. St. Conrad of Parzham, OFM Cap. St. Leopold Mandic of Castelnuovo, OFM Cap. 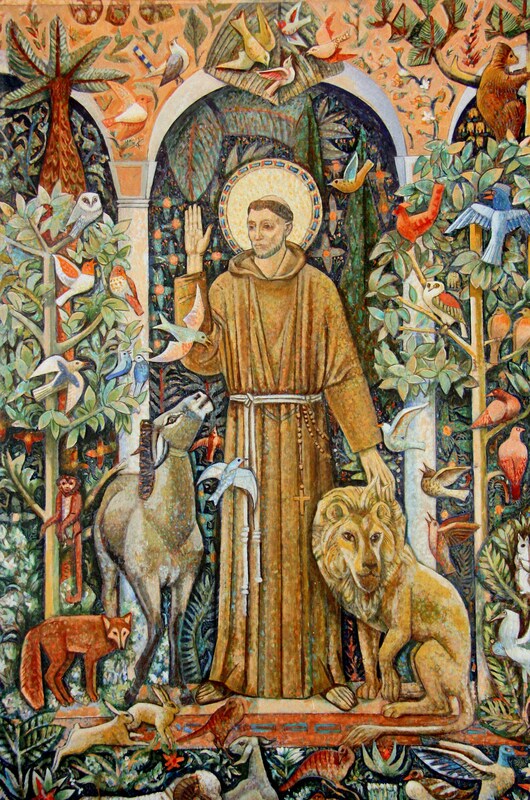 St. Francis Mary of Camporosso, OFM Cap. St. Felix of Nicosia, OFM Cap. St. Ignatius of Laconi, OFM Cap. St. Ignatius of Santhia, OFM Cap. St. Crispin of Viterbo, OFM Cap. St. Bernard of Corleone, OFM Cap. St. Joseph of Leonessa, OFM Cap. St. Fidelis of Sigmaringen, OFM Cap. St. Felix of Cantalice, OFM Cap. St. Seraphin of Montegrano, OFM Cap.